-SG- The records show that Jimmy Guthrie finished second - by 4 seconds - to Stanley Woods (Guzzi) in the 1935 Senior. 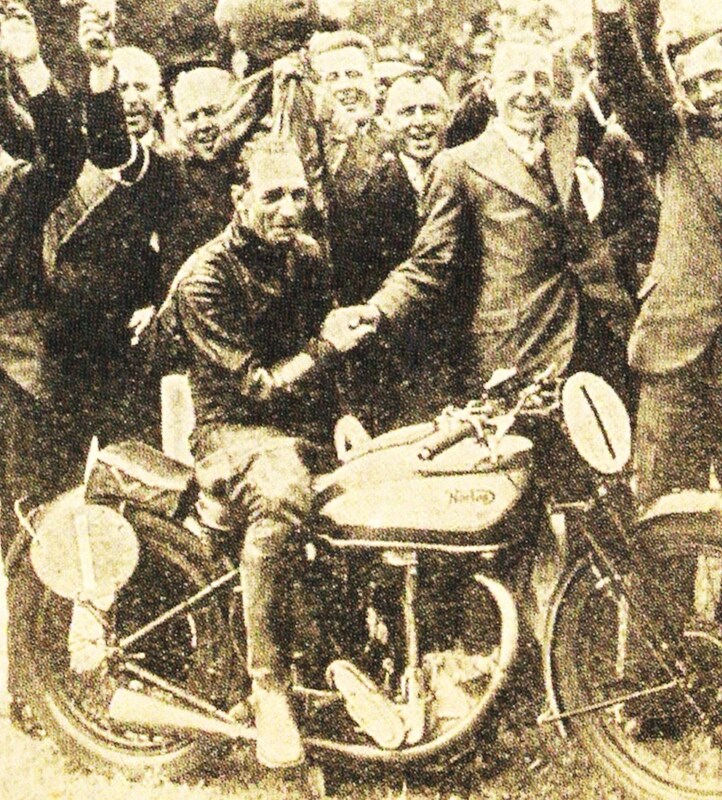 Here's a rather grainy photo of premature celebrations by the Norton chaps when it was thought Jimmy had won. Needless to say, it was not used overmuch at the time!